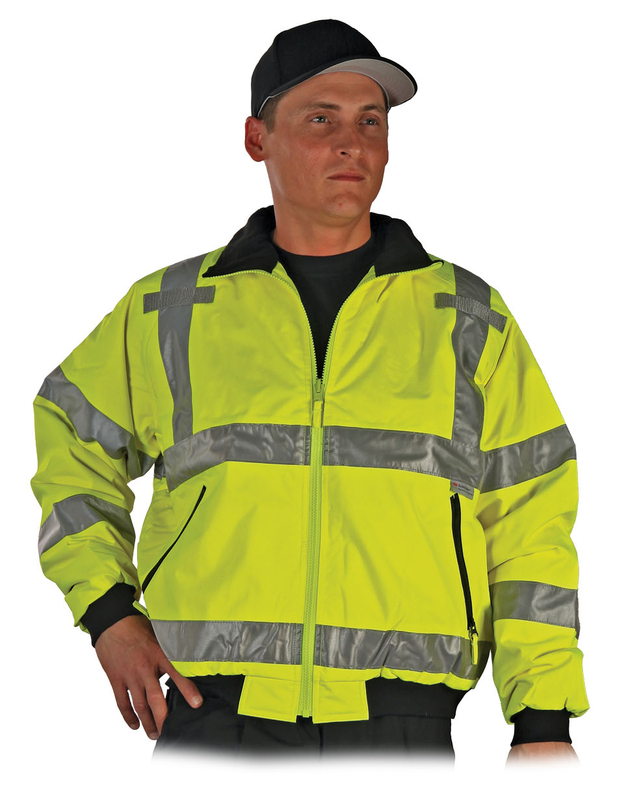 ANSI 107 / ISEA 2010 ­ Class 3 with 2­-inch 8912 3M™ Scotchlite™ Reflective Material, snap secured storm front closure with two way zipper. Features two large lower pockets with flaps, microphone loops each side, adjustable cuff elasticized with snaps, two inside pockets, a waterproof concealable hood, draw cord for snug fit, waterproof/breathable garment. ANSI 107 / ISEA 2010 – Class E, with 2-­inch 8912 3M™ Scotchlite™ Reflective Material, nylon taffeta lined, 2 large snap secured side openings for access to pockets, and elasticized waistband with toggle with drawstring. Legs have 12­inch zipper with storm covered flap with snap closure. Waterproof/breathable garment. ANSI 107 / ISEA 2010 – Class 3, with 2-inch 8912 3M™ Scotchlite™ Reflective Material, front zipper closure through to top of collar, fleece lined, 2 large pockets with zipper closures, microphone loops each front, knit cuffs, two inside pockets, waterpoof/breathable garment, zips into Parka as liner. 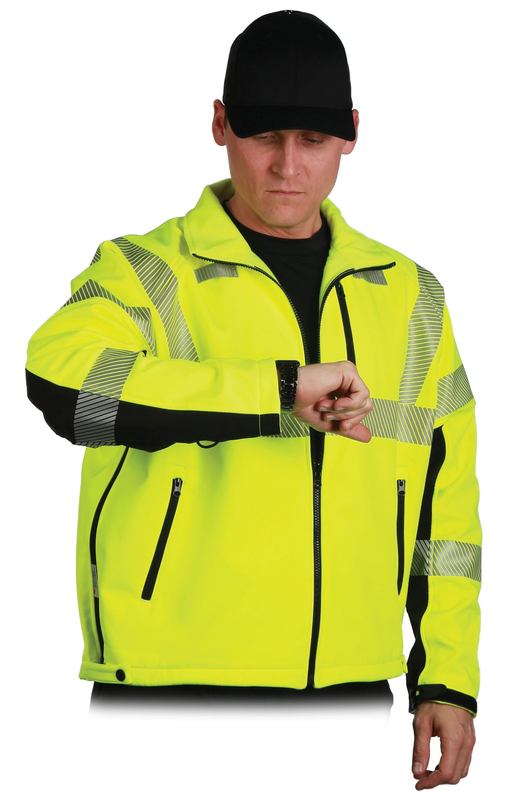 Breathable ANSI 107 / ISEA 2010 – Class 3, 5510 3M™ Scotchlite™ Reflective Material Comfort Trim, left chest zippered pocket, two lower front zipper pockets, microphone loops each front, two inside zipper pockets with pencil slots, side zipper access, drawcord for snug fit. Water resistant breathable garment, zipper air vents under arms; zips into parka as liner. 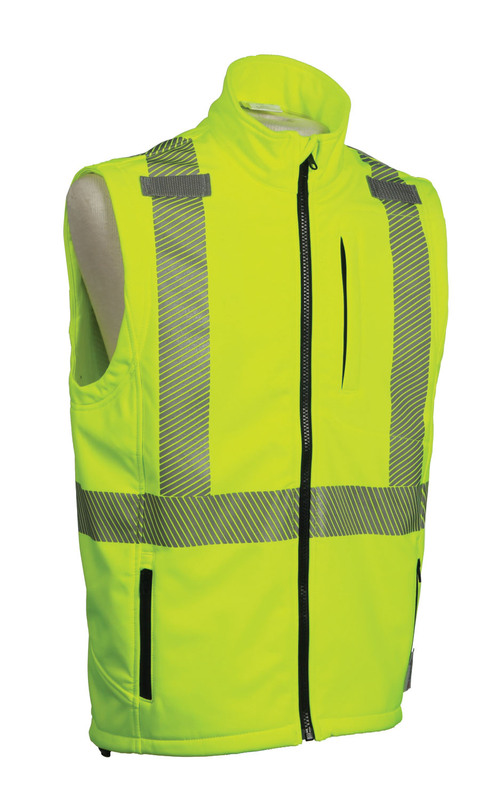 Breathable ANSI 107/ISEA 2010 – Class 2, 5510 3M™ Scotchlite™ Reflective Material Comfort Trim, left chest pocket, two front zipper pockets, microphone loops each front, drawcord for snug fit. Water resistant breathable garment, zips into parka as liner.